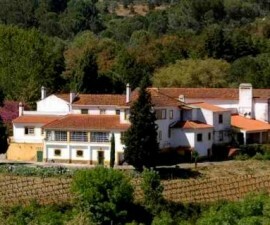 The Hotel dos Templários offers an excellent standard of accommodation in the mid- to upper-price range. It is conveniently located in Tomar, Portugal, just 200 metres from the town centre and a 10-minute walk from the local attractions of the Templar Castle and Convento de Cristo. Set in expansive landscaped gardens, the hotel offers spacious rooms with balconies offering lovely views over Tomar’s Nabão River and Mouchão public park. It is a popular choice for business travellers, with plenty of amenities, good wireless Internet and a business centre with conferencing and meeting rooms. 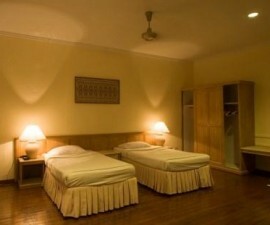 It is also ideal for families and couples in search of good quality accommodation with a relaxed atmosphere. The en-suite rooms are attractively decorated with modern furnishings and are well equipped with minibar and cable television. One of the hotel’s main draws is its spa facility with sauna, spa pools, indoor bathing pool and a team of qualified practitioners on hand to provide a variety of beauty and massage treatments. During high season the attractive gardens provide a lovely oasis in which to relax and make the most of the warm summer sun of Portugal’s Ribatejo region. The complex boasts two outdoor pools, one heated for guests’ year-round enjoyment, and has plenty to keep younger guests occupied including a children’s playground and games room with billiards table. For the more active there is also a fitness centre and tennis court. The Hotel dos Templários has a restaurant serving breakfast, lunch and dinner as well as a barbecue area, snack bar and lobby lounge, providing plenty of options for guests wishing to eat and drink on site. 24-hour reception and concierge services are available, and the staff are generally helpful and happy to provide information about local attractions and assist with making dining and tour reservations. 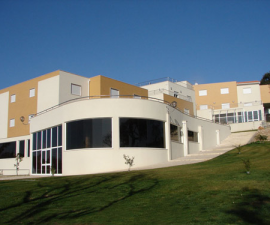 Free parking is available to all visitors and other amenities including laundry and currency exchange all help to make guests’ life easy and in general the hotel’s ideal location and above-average service make for a relaxing stay with good memories of the Hotel dos Templários and their time in Tomar, Portugal.